To create the illusion of a fluid animation, a circuit was created with copper tape and contacts. 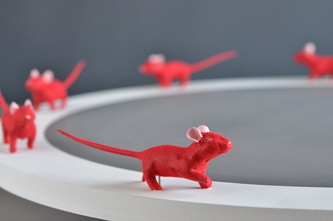 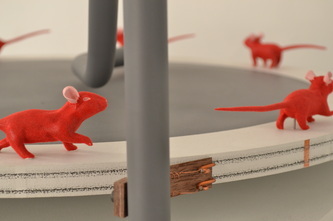 An LED light activates in sync with the speed at which the wheel spins, tricking the eye to seeing a singular mouse in stride. 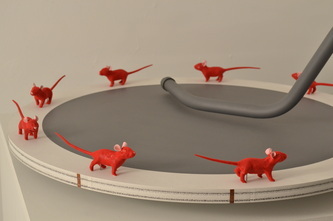 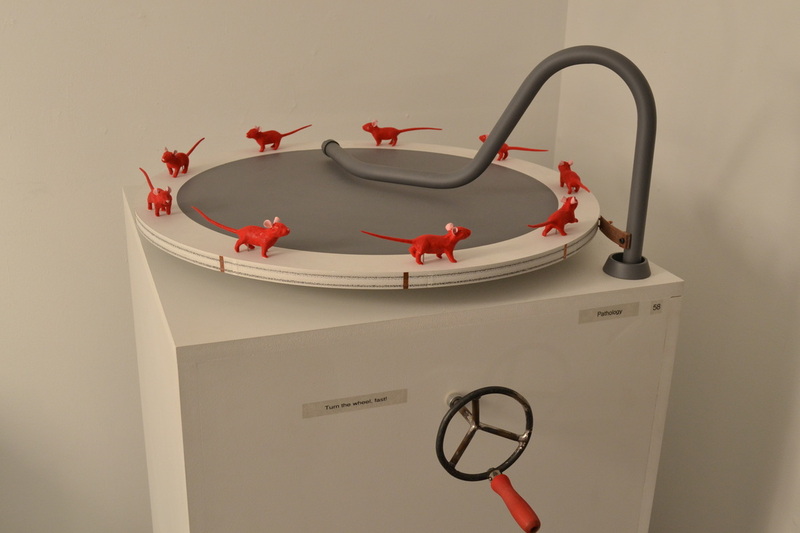 Pathology is a user controlled animation wheel that depicts a mouse running; the viewers discretion on how fast to spin the hand-crank decides how quickly the mouse should run. This playful and inviting interaction is meant to be contemplated in a couple of ways. 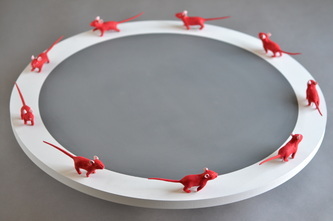 Primarily it recalls the zoetrope wheels many of us had as children, looking through the paper slits to watch a story replay over and over again. 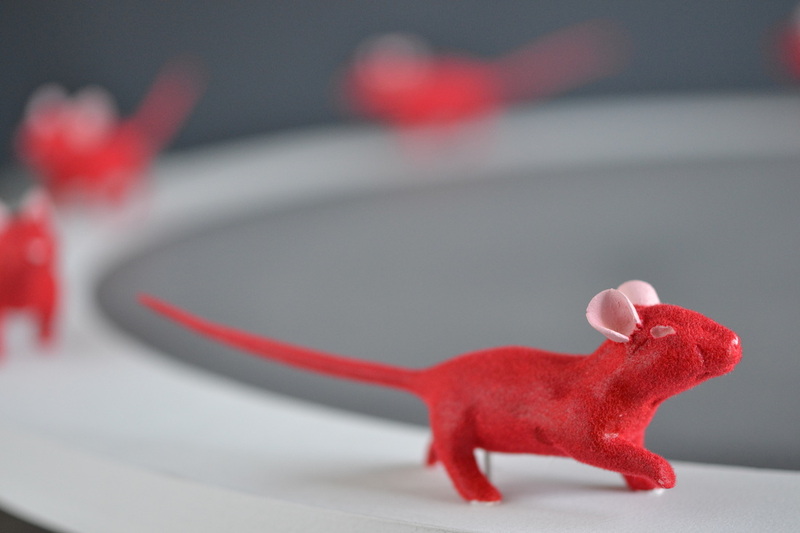 But this piece also touches on more serious issues surrounding the medical testing industry. 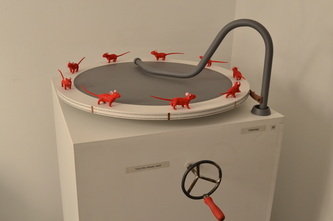 Pathology puts the viewer in control, confronting them with their own personal agency.